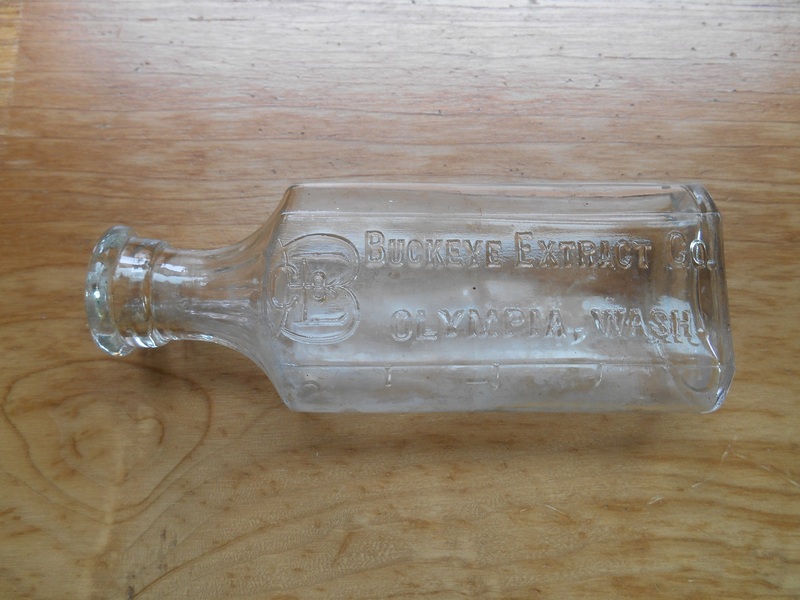 One fairly common antique from Olympia’s early years are glass bottles from the Buckeye Extract Company. From 1904 until just after World War II, this Olympia-based company produced its own line of spices and extracts for cooking. Founded by John Stentz, it was an important part of the community during its time. 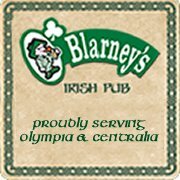 In 1903, John Burr Stentz moved to Olympia with his family. Born to a farming family in Mansefield, Ohio, on August 14, 1872, John learned the science of manufacturing extracts and spices at a company in Troy, Ohio. He worked as a traveling salesman and later manager of this company. Soon after moving to Olympia, he decided to start a new manufacturing company, choosing to call it the Buckeye Extract Company. The name Buckeye is unusual, but comes from Ohio’s nickname “the Buckeye State.” Buckeye trees produce large, hard edible nuts. Carrying one in your pocket is considered good luck. A buckeye nut served as the company’s logo. Stentz began production in March 1903, in his home at 1019 Main Street (now Capitol Way). Hiring a few people and renting a horse and wagon, Stentz sold his products to local grocers and homes. John ran the company for some of its early years with his brother Charles Stentz. John’s wife Birdie Stentz served as secretary-treasurer for many years. The Company was never very large and had 15 employees at its height in 1926, including traveling salesmen. To help sell his products, Stentz conducted a strong advertising campaign. An advertisement in the Morning Olympian on July 16, 1905, claimed that his products were for sale throughout Washington, Oregon, and Idaho. Stentz further assured readers that “nothing on the market gives that delicate flavor to ices, sherbets, and cakes that the Buckeye products do. We guarantee our fruit colors to be absolutely safe and wholesome.” Food manufacturing was notoriously unsafe during this period. By 1908, business had expanded so the company was able to construct its own building, designed by Howard E. Gray, at 215 North Capitol Way. Ground was broken in the early spring and the concrete structure was completed later that year. The first floor held private and public offices, a laboratory, work and sample rooms while the second floor served as a storeroom. The building had modern technology such as an elevator and automatic bottling machines. In 1918, they added a workshop to the back of the building. The Buckeye Extract Company primarily sold extracts and spices and in 1914 even won a blue ribbon for their products at the state fair in North Yakima. Extracts included vanilla, almond, lemon, and more unusual varieties such as orange, parsley, and quince. They processed spices and made food coloring. They also produced baking powder, syrup, peanut butter, pepper sauce, perfume, hair tonics, lotions, ammonia, and bluing. In 1923, the company began to market Buckeye Candy Bars, building a candy bar plant behind the main factory. Hiring Henry Doescher, a candy maker from Yakima, they made nut confections and candies such as peanut bars and brittles. Facing much competition, the Buckeye Extract Company kept up a constant advertising and publicity campaign. 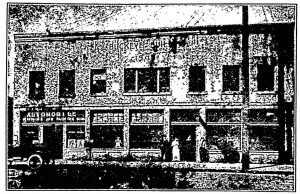 For example, in November 1908, they held an apple contest for farmers at Bolster and Barnes grocery store in Olympia, the winners who received a full set of Buckeye products. In 1921, they hosted hundreds of Olympia students, allowing them to tour the factory and handed out free bags of freshly roasted peanuts and peanut butter sandwiches. The company weathered the Great Depression, but had to expand to cigars and wholesale paper products. World War II rationing and trade interruptions, as well as other competition, forced the business to cease operations. In 1945, they leased part of the building to the E. and O. Manufacturing Company, which made fishing tackle. 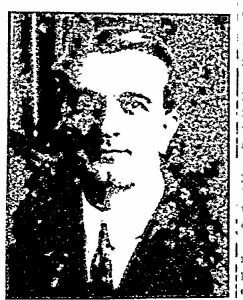 John Stentz died on February 18, 1948. In September, John’s son and grandson Waldo and John Stentz reopened the store as the Buckeye Sporting Goods store. The store sold sports and hunting equipment until it closed in 1950. The Buckeye Extract Company no longer exists. The Buckeye Building was torn down and replaced by the Olympia Center in the 1980s. However, during its existence the company proved to be an important part of the community and affected people throughout the region. It was much more than the source of glass bottles in present day antique shops.